Are you a person who enjoys reading books and e-books? If so, you’re not alone and Cards2Cash can help you feed your literary cravings for less. Book worms will find everything they’re looking for through our preferred retailers, including Amazon.com and Barnes & Noble. Using our discounted book gift cards and merchandise credits, you can stock the shelves of your personal library and fill your electronic reader with thousands of pages for your reading delight. Whether you are starting to plan a vacation and are looking to purchase travel guides to help you plan your getaway or you are a college student needing to stock up on books for the semester, Cards2Cash can help you save on the books you need. And with all the money you’ll save, you can buy more books and still stay within your budget. 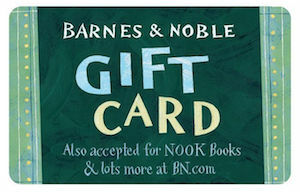 But beyond your own personal needs, books and gift cards also make great gifts. Do you know someone who is having a baby? Help them build up their collection of children’s books using our discounted gift cards and pay less for more books. Are you planning a trip to the beach and need some good summer reading? Load up your e-reader with some easy reading to enjoy under the sun. And for the person who has everything, why not give them a gift card to purchase their favorite books, e-books or even an e-reader such as the Amazon Kindle or Amazon Fire. Regardless of what you’re looking for, Cards2Cash can help you read more without breaking the bank! Do you have book gift cards to sell? Cards2Cash pays the best prices for all your unwanted gift cards, including amazon.com, Barnes & Noble, and other booksellers. You can bring your gift cards to one of our retail locations for cash on the spot or complete our online form to get top dollar for your unwanted book gift cards or merchandise credits.